Since 1993, Russia has had a mixed system of elections, where one half of the 450 Duma members were elected directly in local constituencies and the remaining seats were filled by representatives of political parties. Besides changes in the juxtaposition of political parties, which started back in 2003 and are well-known, a completely new system of voting is now going to be introduced. Now all Duma seats will be filled with representatives of political parties. 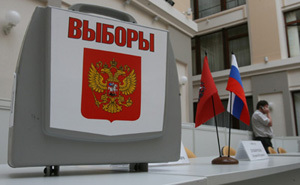 Independent deputies will have no seats in the next Russian Parliament. In fact, almost 20 years have passed since Russian (then Soviet) citizens were allowed to form new parties, thus breaking the 70-year-old monopoly of the Communist party. In a more or less stable country, 20 years is a long enough period for a multiparty system to mature. The time of irresponsible populists promising people happy lives if they put just one right guy into the Duma is gone. Now every Duma member will have to be a part of a party and thus a part of a system. This is the logic which guided the authors of the changes in Russian electoral legislation in 2005-2007. The aim of the changes was to clear the party scene of the weak players and force the remaining political forces to act responsibly. In order to participate in elections, a party must have at least 50,000 members in no less than three fourths of the country&s regions. Deputies will not be allowed to "defect" from one party&s faction to another after they are elected into the Duma. Voters will not be able to choose the "against all" option as was the case before. They will have to find "their" party or not vote at all. The authors of the changes point to the fact that this system works in many "old" democracies. But will it work in Russia? The problem is that according to opinion polls, a political party is one of the least respected institutions in Russia, trailing far behind the presidency, the army and the church. To a certain extent this explains the supremacy of the "presidential" party over all the others. A lot of work will have to be done before at least some of the 15 parties participating in the current election will become respected and solid political players. In the meantime, plurality in the Duma is protected by a set of legal rules, which prohibit the formation of a one party parliament, and require the parties present in the Duma to represent at least 60 percent of active voters.